Remake vs. Original, Which do You Prefer? As a rule of thumb, most people agree that when it comes to the book versus the movie, the book is usually the winner, hands down. It seems that characters are more alive and we can connect with them better through the written word. Too often filmmakers try to condense a novel into the allotted time frame, sacrificing intimate details and nuances. Somewhere along the way the plot and story may stay its general course, but the feeling just doesn’t come through on screen as powerfully as it did while reading the book. Although the film may be great, readers are often let down when it does not live up to the epic tale they have created in their mind’s eye. But what about when we are comparing pieces of the same medium, film versus film, original movies versus their later remakes. Despite falling in with the group that 99% of the time prefers the book to the movie, I love and have a great respect for the film industry. Cinematography is a fantastic art with the power to open your eyes to new ideas and stir feeling within the audience from sorrow to joy and anger to inspiration. It is one of the finest 2 hour escapes available. I find it impossible to single out the best genre, I have favorites in every category; action, noir, science fiction, animation, comedy, romance, and drama. I am an advocate for the classics and just like in literature, I think all generations should be introduced to the original masterpieces that made this field what it is today. Taking a few film related courses in college, we watched and studied everything from Citizen Kane to The Wizard of Oz. I harbor a great appreciation for all aspects of the process, not just the acting. 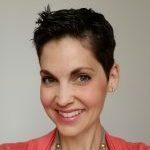 Last week, looking forward to a quiet night with a chick flick while my husband was away on business, I added You’ve Got Mail, the 1998 romantic comedy with Meg Ryan and Tom Hanks, to our DVD list. I was surprised to find (and a little ashamed that I didn’t already know) that You’ve Got Mail is actually a remake of an older classic, The Shop Around the Corner, starring none other than a young James Stewart and Margaret Sullavan. I added it to the list, hoping to be swept off my feet by a classic better than the newer version I already loved. Upon further looking, I found my double feature was in fact to be a triple. Now I really felt bad, some film scholar I was. Yet another movie, and actually a musical at that, based on the same storyline, In the Good Old Summertime with Judy Garland and Van Johnson. Excited now for not just 2 but 3 great promises of fantastic films, they all arrived within a few days and I watched all 3, anxious to see which I liked better. 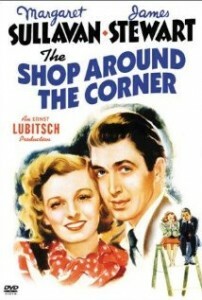 I wanted to like the original, The Shop Around the Corner, the best or at least as much as the recent film. I wanted to be able to post it on Facebook and tell my friends that if they liked You’ve Got Mail, they must watch The Shop Around the Corner. It’s Jimmie Stewart for goodness sake. The first and shortest of the 3, I viewed The Shop Around the Corner first (99 minutes long and made in 1940). By the end of the week I checked off the other two as well, In the Good Old Summertime (102 minutes long, made in 1949) and You’ve Got Mail (119 minutes, made in 1998). Several things stood out; for starters, I was surprised to see that the newest movie, You’ve Got Mail, was also the longest. In my experience this was usually not the case. The basic plots were very similar in all 3, the couples dislike each other in a working environment, but little do they know they are falling in love through anonymous letters, be it via post or email. The first 2, The Shop Around the Corner and In the Good Old Summertime, cast the couples as working together in the same shop with the male lead supervising and eventually becoming the manager of the store. 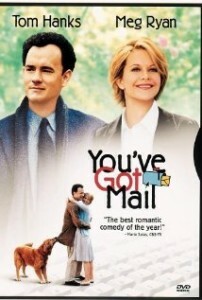 You’ve Got Mail has the couple fighting against each other as business rivals. Outside of that, and a few songs thrown in, sung by Judy Garland, all 3 are quite similar in storyline. Despite my desires to want The Shop Around the Corner to be my new favorite romantic comedy, I have to say it came in third on this list. Still well done with great acting, I just didn’t feel the character development that I did in the flowing 2. I also didn’t quite feel the “comedy” aspect of this romantic comedy; it fell much more to the dramatic side. Stewart and Sullavan did a great job arguing and bickering, but I never really saw a point where that was slowly turning into affection for one another. In the Good Old Summertime and You’ve Got Mail, however, I did feel that they took steps to ensure you could see Garland wondering about a possible relationship with Johnson, and you could witness the walls start to fall away as Ryan unwillingly began to let Hanks into her life. The final 2 were also much more joyful and lighthearted. As far as musicales go, I was disappointed that there were not more song and dance routines for In the Good Old Summertime. I think I counted only 4 or 5 songs that Garland sang, a few with backup and dancing, but nothing compared to similar films of that era. I actually found it a stretch to consider it a musical due to the lack of numbers; but it was still entertaining, supporting the original story while adding their own twist. Even though I almost hate to say it, You’ve Got Mail, was my favorite. I thought the added length of time was warranted for the audience to get a true look into the lives of the characters and walk along with them in this journey. It’s hard to say, but possibly a few extra scenes in the original may have had the same beneficial result. This time the classic did not prevail, the plot itself did; a wonderful basis for a fantastic story. But I was looking for a little bit more from The Shop Around the Corner. I wouldn’t consider this par for the course, and for me there might not be any general rule of thumb. Just off the top of my head Sabrina, Annie, and The Bad News Bears are all ones that I would choose to watch the original before the remake any day. Some classics just shouldn’t be tampered with. and again bringing up the rear, You’ve Got Mail=3.5. So don’t just take my word for it, check them out and see what you think. Do you find that you prefer originals to their later remakes, or does it totally depend on the movie? Comment below or drop me an email, I’d love to hear your opinions.